Breaking News: Huddersfield have signed Mainz goalkeeper Jonas Lossl on a season-long loan deal. Breaking News: Novak Djokovic reaches Aegon International final after beating Daniil Medvedev 6-4 6-4. Breaking News: Team Sky rider Chris Froome has signed a two-year contract extension. Breaking News: Sunderland striker Fabio Borini has joined AC Milan on loan with a view to a permanent deal. Breaking News: Former midfielder Scott Parker has returned to Tottenham as Under-18 coach and club ambassador. 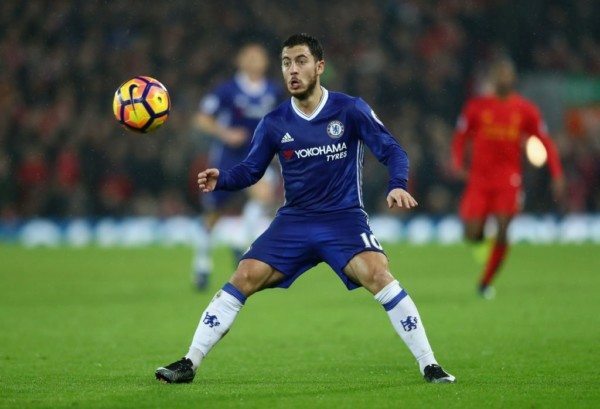 Fred Says – Hazard My Bet For PFA Player Of Year 2018.